Yesterday, I accidentally applied for the SPG card. 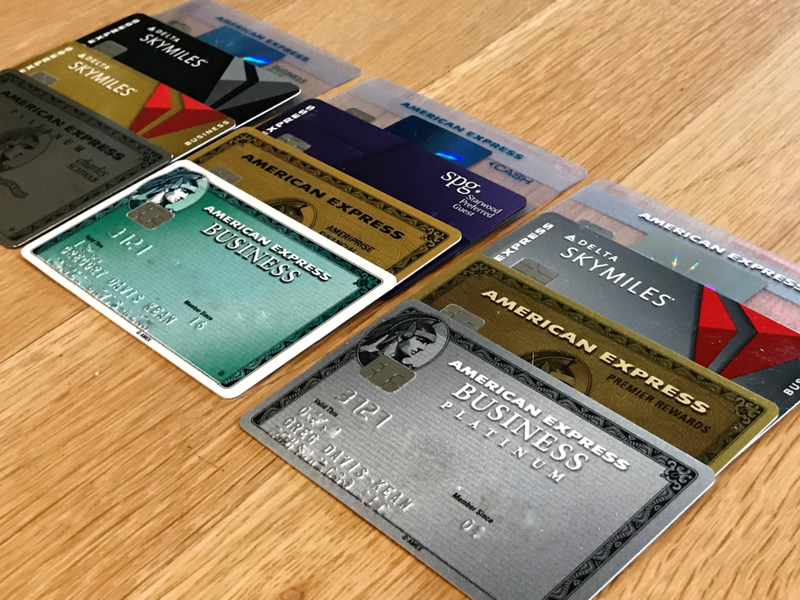 A reader had asked about the new feature where Amex will warn you if you’ve had a card before and are not eligible for the bonus. I had never seen the warning myself except as posted on other blogs, so I picked a card that I’ve had before (the SPG consumer card) and applied. Instead, my application was instantly approved. I don’t know why the application itself didn’t warn me that I’m not eligible for the bonus. I thought at first that maybe Amex is considering the SPG card new since it now earns the equivalent of Marriott points instead of Starpoints. But others have received the warning for this card with the new earning structure, so that’s not it. Maybe Amex somehow forgot that I had this card. I had cancelled it in May 2015 which is nowhere near the 7 year timeframe that seems to be their forget threshold. Most likely, the warning simply failed to trigger. I think it is very unlikely that I’ll get the bonus for this card. The more surprising part of all of this is that I got approved despite having 5 credit cards already open. In the past, my applications have been denied when I tried to open a new credit card that would put me over the Amex credit card limit. Note that the limit used to be 4 credit cards, but had moved up to 5. Note also that charge cards, such as Amex Gold cards and Platinum cards, have never been part of this limit. I next opened the application for the SPG Business Card. I had cancelled that one as recently as June 2017. Surely the application would warn me that I’m not eligible for the bonus, right? Nope. I was instantly approved. I now have 7 Amex credit cards. I’m feeling fairly confident now that the hard limit on credit cards is gone. Or, maybe they have a limit, but it varies by person. What’s up with the Amex bonus validator? The validator seems to be completely broken for me. Or maybe it doesn’t work with Chrome? But it’s not broken for everyone. Quite a few Facebook group members reported that they received the same “PLEASE CONFIRM” message as shown above. Is there any limit to Amex credit cards anymore? Is there a way to trust the bonus validator if it shows the warning sometimes but not other-times? And, of course, there’s a third question: Do I have any hope at all of getting the welcome bonus for either card? I’m pretty sure that the answer is no. What has your experience been with these topics? Please comment below. By the way, when counting your Amex credit cards, don’t count charge cards, and don’t count authorized user cards. Thanks! This is a very interesting development, particularly with the new Amex check on no bonus due to churning. Keeping more cards alive and able to spend on would be awesome. I just applied for and received my 6th AMEX credit card (Hilton Aspire). I was approved instantly. I applied for the Delta Biz Plat a week ago, and since I was at the 5 card limit, the rep said I would have to close a card, so I chose to close my Delta Gold. I was then approved for the But the card never closed, as it was active on my account, and I called again to have them close the Gold. If I didn’t, I would have had 6 open as well. I just applied for the everyday Monday for an incognito 25,000 point sign up. Did not get the sign up message to show. Just instantly approved. I Have never had the card, currently have PRG, SPG and platinum. I can give you the CDN reply. Since both the personal and business cards don’t waive their annual fees, you can get the cards over and over (just wait a year or so between) You get the sign up bonus every time for either a fee of 120 or 150 but well worth it! Now of course this may change with the new developments, but it seems if you pays the fee, you gets the BONUS!!! Thank you Sir, we will get to fix this right away! @Greg, have you tried chatting or calling Amex to see if they’ll tell you whether the computer has your new cards coded to receive the bonuses? Also, did you apply for both cards on the same day? I thought Amex allowed one credit card application in a 5 day period. I haven’t chatted or called Amex since I don’t particularly want to draw attention to my account. You CAN get 2 credit cards in one day when they are auto-approved. That has long bypassed the 5 day limit. Did u complete the MSR? Waiting for your dp about bonus. I did for the personal card. Now I’m waiting to see if they assign me a new SPG membership number. The biz card hasn’t appeared yet. Greg, did you do MS or all organic? Biz card has since arrived and I met spend on that too. Interesting it says “Member Since: Today!” Doesn’t it usually say the year you first got an Amex card? Seems like it’s just not seeing your history with them. Good point. That’s especially strange since I logged into my Amex account both times to pre-populate the application. I noticed the same thing when I was approved for a Delta Gold on 8/8. I previously received the card in early 2012, so I decided to test whether or not I’d receive it, assuming I’d receive the pop up if I wasn’t eligible for the bonus. I didn’t receive any pop-up and was auto-approved, but my welcome email included the “Customer Since: Today” language. Additionally, I was not allowed to add the new card to my existing user ID but was forced to create a new one. Very strange all around. You may get the bonuses. I’d call to ask. Within the last year, I got bonuses for Gold and Delta cards that I’ve had before. I called to have a rep check and was told that even though I had the card before, yes, I could get the bonus. I’m more inclined to just meet the spend and see what happens. Why don’t you strike out your full name so that Amex RAT doesn’t rescind your approval/bonus? Some people are just so rude. No decency at all. I was at the 5 card limit, applied for a card, first got declined by the system, called in, and then the rep suggested for me if I couldn’t close a card (!!!). This happened twice already, and with cards that I had just gotten a couple of months ago, reaping substantial bonuses off of them. Makes me like Amex even more than before. I’d be careful with that. The phone reps don’t know about the Amex rewards abuse team. The latter is the team that watches for people signing up for bonuses and cancelling cards. As mentioned: Amex suggested to close previous cards, not I !! Couldn’t believe hearing that myself. Taking into account what you said, the Amex abuse team would have to talk to the Amex credit decision team, right? Funny thought. What I really believe is happening is that there’s a fierce battle for customers going on, mainly between Chase and Amex. Either bank doesn’t mind spending millions to ‘get’ customers. Big advantage for us, because right now it’s even easier than it used to be to get approved. AMEX QUESTION…..does anyone know if being an authorized user on wife’s AMEX Hilton B, card (then cancel it) voids out any chance of getting the AMEX signup bonus on my own Amex (Hilton Business) card. Thank you in advance for your help. No, being an AU doesn’t matter. Could you explain us how is it possible to “accidentaly” apply for credit card. How come this accide t never happened to me? Did you only read the first sentence of the post and then go straight to typing an ignorant comment? My wife applied for the SPG Biz card a few days ago, she had it maybe 5 or so years ago. She got no warning message. We were a bit concerned, so while they were processing the app we called to see if amex could see that we had the card previously and they did confirm she had the card before. We canceled the application, assuming in the end they would (rightly) claim we have had the card and not give the bonus. I went to test out the pop up window just 2 days ago as well. No pop up window came up to tell me if I was eligible or inelgible. There was only the “submit” button…and I didn’t press it because I thought the application would go through. Waiting for Aug 23! Suggestion to close a card that you don’t need any longer; then they’ll approve you for the one you want now. Question I’ve always wondered. I’m at the supposed AmEx limit (actually over it thanks to the Citi Hilton merger). If I want to apply for another AmEx credit card do I (a) need to cancel down to 4 and then apply or (b) apply while still at 5 or 6 and then cancel during reconsideration call? I especially ask because I have a fraud alert on my credit file so I am definitely getting a call from AmEx regardless and that could be a good time to cancel down to the needed 4. Danny, I was at the 5 limit, applied, got declined by the system, then called recon, and they suggested to me (!!) to close a card, which I did, and then I got approved for the new one I wanted. This happened twice already. Good luck!! Come on Greg – You’re the Frequent Miler. You’re famous. You don’t think that AmEx knows who you are. You are in the system. They love you. You have links. They would probably do anything for you. That’s definitely not true based on past experience with Amex cards. Applied for the new SPG LUX yesterday and got a call from them that I have too many cards (5 including one from Hilton Citi xfer) and would have to cancel one. So it must be YMMV. The limit is still in force for some people then. I just applied for the Amex Blue Business Plus. Application was put on hold. did you end up getting your bonus and did you confirm that this was indeed your 6th amex credit card? Yes, I got the bonuses on both cards and yes they were 6th and 7th credit cards. That said, most people report that the 5 card limit is still firmly in place so I believe that it was an error on Amex’s part that my apps worked. From my understanding having spoken to amex earlier this year, if you haven’t had a particular card for 6 months, when you sign up again, you’re eligible for the sign up bonus. Whoever you spoke with was misinformed. Most Amex cards have lifetime rules. e.g. once you’ve had the card you’re not supposed to be able to get the bonus again. Is getting 4 biz cards in 6 months too much? Aug, Oct, Jan. Considering the Biz Plat now given that I have a big expense coming up. Unsure if this will trigger some kind of review by Amex. I’m not aware of any issue in doing so. so… did you get the bonuses?